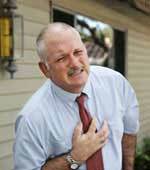 Heart failure is a condition in which the heart is unable to pump enough blood to the rest of the body. Therefore, the heart cannot pump enough oxygen and nutrients to meet the body's needs. Heart surgeries are always complicated and only specialists can perform them .Indian Healthguru has ties with the top heart surgery hospitals and the best heart surgeons in India offering supreme treatment at affordable rates. Affordable: What is the heart failure surgery and treatment cost in India? The expenses incurred in the entire travel for the heart failure surgery and treatments in India are nearly 30% of that in most Western countries. My name is Mr Ibako, from Nigeria. I came to India for my sister’s heart surgery. She had a problem of irregular heart beats since last 3 years that caused her acute pain. Our local doctor suggested treatment in India. We searched over the internet and found Indian Healthguru that provided the surgery options at affordable rates. After completing the procedure, I and my sister came to India for her treatment. The doctors here are so skilled and top class, the hospitals were spick n span. 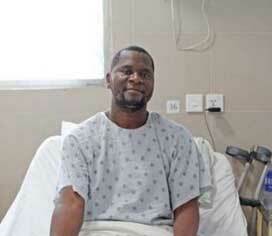 A cardiac failure device was inserted during the surgery, which has diminished her pain. The treatment was successful and my sister’s life has changed a lot for the better, thanks to Indian Healthguru. Heart failure, also called congestive heart failure, is a condition in which the heart can no longer pump enough blood to the rest of the body. In this condition blood moves through the heart and body at a slower rate, and pressure in the heart increases. Therefore, the heart cannot pump enough oxygen and nutrients to meet the body's needs. The chambers of the heart respond by stretching to hold more blood to pump through the body or by becoming thicker and stiffer. This helps to keep the blood moving for a short while, but then the heart muscle walls weaken and are not able to pump as strongly. The heart muscle walls are damaged and do not pump or fill normally. The kidneys often respond by causing the body to retain fluid (water) and sodium. If fluid builds up in the arms, legs, ankles, feet, lungs or other organs, the body becomes congested; congestive heart failure is the term used to describe this condition. Heart failure is the leading cause of hospitalization in people over age 65. Other symptoms may include decreased alertness or concentration, decreased urine production, nausea and vomiting and increased urge to urinate at night. Infants may sweat a lot. What are Types of Heart Failure? Left-Sided Heart Failure - In left-sided or left ventricular (LV) heart failure, the left side of the heart must work harder to pump the same amount of blood. There are two types of left-sided heart failure. Drug treatments are different for the two types. Systolic failure: The left ventricle loses its ability to contract normally. The heart can't pump with enough force to push enough blood into circulation. Diastolic failure or dysfunction: The left ventricle loses its ability to relax normally (because the muscle has become stiff). The heart can't properly fill with blood during the resting period between each beat. Right-Sided Heart Failure - Right-sided or right ventricular (RV) heart failure usually occurs as a result of left-sided failure. When the left ventricle fails, increased fluid pressure is, in effect, transferred back through the lungs, ultimately damaging the heart's right side. When the right side loses pumping power, blood backs up in the body's veins. Congestive Heart Failure - Congestive heart failure is a type of heart failure which requires seeking timely medical attention, although sometimes the two terms are used interchangeably. A test called the ejection fraction (EF) is used to measure how well your heart pumps with each beat to determine if systolic dysfunction or heart failure with preserved left ventricular function are present. Our association with the top heart surgery hospitals in India has NAB accreditation and offers excellent laboratory and diagnostic services, affordable healthcare and heart care to the patients. The hospitals located at Delhi, Gurgaon, Noida, Ahmedabad, Mumbai, Bangalore, Chennai, Nagpur, Hyderabad and Kerala are equipped with world class facilities and offer world class quality care and treatments. 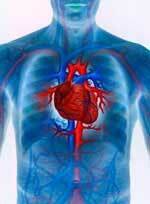 The best heart surgeons in India provide consistent committed cardiac care to the patients. Heart failure often occurs when several diseases or conditions are present at once. How to Test and Diagnose Heart Failure? Listening to the chest with a stethoscope may reveal lung crackles or abnormal heart sounds. This condition may also alter the results of other tests which include blood chemistry, complete blood count, creatinine clearance, liver function tests, blood test (Uric acid, Sodium), Urinalysis. What are the Treatments of Heart Failure? Heart failure caused by damage to the heart that has developed over time can't be cured. But it can be treated, quite often with strategies to improve symptoms. Heart failure patients need multiple medications. Each one treats a different symptom or contributing factor. It's important to discuss all of the drugs you take with your doctor and understand their desired effects and possible side effects. Medicines decrease the clotting (coagulating) ability of the blood. Thus blood thinners or anti-coagulators are usually advised. They do not dissolve existing blood clots but are used to treat certain blood vessels, heart and lung conditions. Medicines may also prevent the clots from becoming larger and causing more serious problems. They are often prescribed to prevent first or recurrent stroke. What are Surgerries of Heart Failure? Surgical Procedures Without Devices - Heart valve surgery, coronary bypass surgery (CABG), and angioplasty may help some people with heart failure. A pacemaker to help treat slow heart rates or other heart signaling problems. A biventricular pacemaker to help the both sides of your heart contract at the same time; it is also called cardiac resynchronization therapy. An implantable cardioverter-defibrillator that recognizes life-threatening, abnormal heart rhythms and sends an electrical pulse to stop them. What are Other Treatment Options for Heart Failure? What Lifestyle Changes to be made to treat heart failure? The patient will need to make some changes in his daily life to treat heart failure. Stay at a healthy weight, or lose weight if you need to. Even a few pounds can make a difference. What are Advantages of Heart Failure Surgery and Treatment in India? Once the diagnosis of heart failure is established, a number of pharmacologic strategies are available to limit and reverse the manifestations of HF. In particular, mortality rates among patients with heart failure can be reduced drastically. Treatment increases survival and decreases repeat hospitalizations. What are Risks and Side Effects Associated with Heart Failure Surgery and Treatment? We have a family friend who recently suffered heart failure and was admitted in the hospital for his further treatment. I must say that I visited him just two or three times during his stay for the treatment but the kind of appositive attitude and wise manner in which the doctors at the Indian Health Guru treated the patient and every family member associated to him is commendable. I have never seen the staff members and such experienced surgeons giving personal attention to the needs and care of each and every patient. Why consider India for Heart Failure Surgery and Treatment? The doctors and researchers in India have actively contributed in developing new ways to diagnose and treat people who have heart failure. At top heart surgery hospitals in India, each year doctors internationally trained in heart care (cardiologists) evaluate and treat thousands of people who have congestive heart failure. Cardiologists and other specialist staff heart failure clinics in India work together as a team to diagnose and treat all forms of congestive heart failure. The advanced facility in most of the hospitals is devoted specifically to surgical advanced heart failure treatment. What is Cost of Heart Failure Surgery and Treatment in India? Most hospitals in India offer programs involving individualized multidisciplinary post-discharge healthcare, with a major focus on specialist nurse management to ensure that the patient receives optimal treatment, are clinically and economically effective in reducing the typical burden imposed by Heart Failure. These programs appear to be most effective in 'high-risk' patients who typically have recurrent readmissions in high-cost units as many hospitals provide low cost heart failure surgery India. How will I get Best Heart Failure Surgery And Treatment In India? To get the best Heart Failure Surgery and Treatment in India, all one has to do is send us his/her medical reports and with the help of our network of best surgeons, we will find the best facility for you. Is Heart Failure Surgery in India more successful? The cardiac surgeons in India are renowned around the world for excellent skills and extensive knowledge. Many people from around the world visit India every year for best Heart Failure Surgery. Is heart failure surgery and treatment in India affiliated World Class Hospitals? The heart failure surgery and treatment in India ranks among the top-most facilitators. A pacemaker is a small device placed in the chest or abdomen to help control abnormal heart rhythms. It uses electrical pulses to prompt the heart to beat at a normal rate. It helps monitor and control the heartbeat. The electrodes detect your heart's electrical activity and send data through the wires to the computer in the generator. What is stem cell therapy for heart failure? Stem cell therapy causes new muscle cells to be formed through stimulation of dormant stem cells that are already inside the heart muscle.